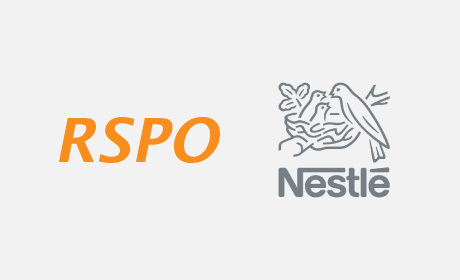 Kuala Lumpur/Vevey, July 16, 2018 – The Roundtable on Sustainable Palm Oil (RSPO) today reinstated Nestlé S.A.’s membership following the submission of its time-bound action plan to achieve 100% RSPO certified sustainable palm oil by 2023. Effective Monday, July 16, 2018, Nestlé's certificates and membership status will be reinstated. RSPO and Nestlé share the vision of transforming the palm oil industry for a sustainable future. They also believe that achieving this requires the entire industry to work towards greater transparency, inclusiveness, direct supply chain engagement and capacity building throughout the supply chain. He added that Nestlé would play a leading role within the RSPO by participating in working groups and sharing its experiences in addressing some of the critical environmental and socio-economic challenges affecting the sector. “In line with the RSPO’s objectives, this work will focus on preventing deforestation, particularly the protection of peatland and high-carbon stock land, as well as respecting human rights across the value chain,” said Benjamin Ware. In response to the urgent and pressing global call for sustainably produced palm oil, the Roundtable on Sustainable Palm Oil (RSPO) was formed in 2004 with the objective of promoting the growth and use of sustainable oil palm products through credible global standards and engagement of stakeholders. The seat of the association is in Zurich, Switzerland, while the Secretariat is based in Kuala Lumpur with satellite offices in Jakarta, London, Zoetermeer (NL) and New York. RSPO is a not-for-profit association that unites stakeholders from seven sectors of the palm oil industry - oil palm growers, palm oil processors or traders, consumer goods manufacturers, retailers, banks and investors, environmental or nature conservation NGOs and social or developmental NGOs - to develop and implement global standards for sustainable palm oil. Such multi-stakeholder representation is mirrored in the governance structure of RSPO such that seats in the Executive Board and project-level Working Groups are fairly allocated to each sector. In this way, RSPO lives out the philosophy of the "roundtable" by giving equal rights to each stakeholder group to bring group-specific agendas to the roundtable, facilitating traditionally adversarial stakeholders and business competitors to work together towards a common objective and make decisions by consensus. To date, RSPO certified oil palm grower members have set aside an area equivalent to 250,000 football fields (189,777 hectares) of High Conservation Value (HCV) area. RSPO-certified plantations now cover a total of 3.57 million hectares across 16 countries, and produce 12.20 million tonnes of Certified Sustainable Palm Oil (CSPO); 19% of global palm oil. This includes a total of 88,753 RSPO Certified Scheme and Independent Smallholders covering a certified area of 336,841 hectares. Nestlé is the world’s largest food and beverage company. It is present in 189 countries around the world, and its 323,000 employees are committed to Nestlé’s purpose of enhancing quality of life and contributing to a healthier future. Nestlé offers a wide portfolio of products and services for people and their pets throughout their lives. Its more than 2000 brands range from global icons like Nescafé to local favorites like Nido. Company performance is driven by its Nutrition, Health and Wellness strategy. Nestlé is based in the Swiss town of Vevey where it was founded more than 150 years ago. Find more information about Nestlé Responsible Sourcing Program on palm oil. Head of Corporate Media Relations, Nestlé S.A.